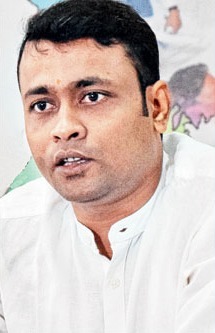 The Central Bureau of Investigation (CBI) arrested State Youth Congress president Rajat Choudhury and Orissa High Court lawyer Debasish Panda for their alleged involvement in the Chit Fund Scam. During the investigation, the CBI officials came to know that Choudhary held the power of attorney for a property belonging to the Artha Tatwa Group which was later sold for Rs 94 lakh. Choudhury had also taken some lakhs of rupees and a vehicle from Pradeep Sethy, chief of Artha Tatwa Group. CBI officials questioned the duo for several hours who failed to give satisfactory answers to their queries during interrogation. Debasish Panda, who is also a lawyer of Orissa High Court was also arrested for taking the benefits from the Artha Tattwa group.